One of the most beautiful buildings of Dnipropetrovsk is the Governor’s Residence. In the mid of the 19th century, the building housed the English Club. 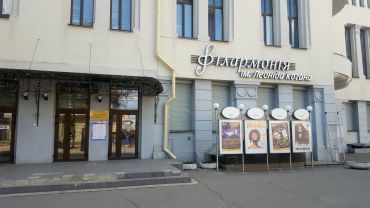 All beau-monde of Katerynoslav City (now Dnipropetrovsk) was coming to the Club to forget about the daily routine and concerns at playing cards or Russian troika or smoking cigar to talk about politics and art. Meanwhile, wives and daughters of local aristocrats were entertained those nights by dancing. Some changes happened at the end of the 19th century. 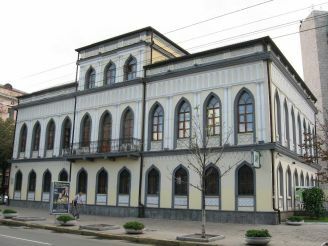 The city authorities nationalized the property and made it house Katerynoslav Governors and Governorate Administration. Due to this fact the building of the former English Club was named the Governor’s Residence. This name has been so deeply rooted in the memory of the city residents that it is still called this way. 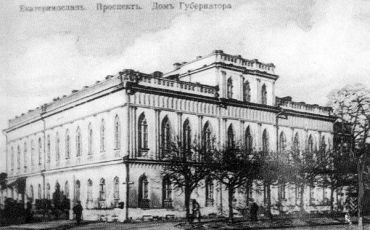 Starting from the Bolshevik Revolution in 1917 and during 50 years, the Governor’s Residence was changing its owners several times. 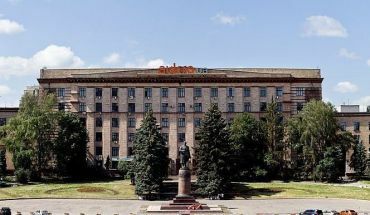 At the time of the Revolution, the City Soviet of Workers’ and Soldiers’ Deputies held there its meetings, from 1919 the building housed the Governor’s Executive Committee and later, it was the Teacher’s House, Pioneers’ House and from 1970s – the Volunteer Society for Cooperation with the Army, Aviation and Fleet. The building seems to be tired from the constant change of owners and their attempts to change everything. And already in 1983 the House was left without its inhabitants, lights and heating. By the 80s of the 20th century the national architectural monument was abandoned and left to stay alone. It was even planned to be destroyed. However, in 1997 the building was renovated. The façade of the building looks very impressive. The architecture used the English gothic elements. The Governor’s Residence has two floors, though its central part has been extended to the third floor. The first floor has ring-limited windows and the second floor’s windows are of the lancet form. The interior preserved the marble decoration. 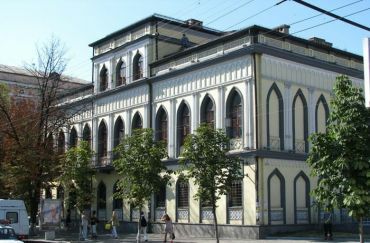 The Governor’s Residence is a local attraction of the central Avenue named after Karl Marx and of the downtown of Dnipropetrovsk. 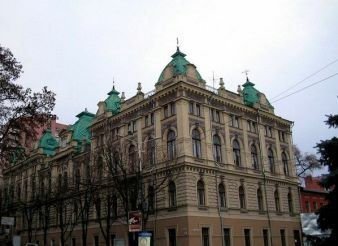 The Governor’s Residence is located at the address: 14, Lenina Street, and can be reached by tram No. 1 or local charter buses No. 87, 101, 104, 146А and all other buses passing through the city centre.